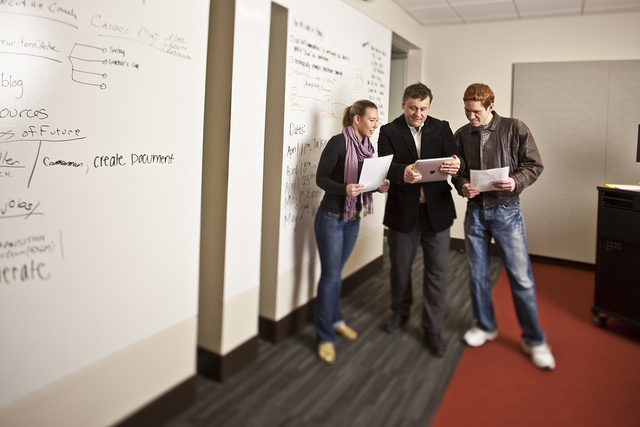 The Reynolds School emphasizes the present and future of journalism as well as strategic communication fields — such as advertising, public relations and integrated marketing. At the undergraduate level we prepare students for multi-platform storytelling, whether in the service of news, information or brand communication. Our master’s program prepares graduate students to develop innovative media products and practices. Our programs encourage an inclusive learning environment that supports students from all backgrounds and walks of life. The Reynolds School is one of 110 accredited U.S. journalism and mass communication programs. Our faculty members include endowed chairs in media technology, media entrepreneurship, business journalism and media ethics. We partner with the College of Engineering around digital media innovation, with the College of Business around entrepreneurship and with the School of Medicine around health communication. Our student teams in advertising and public relations have won national and regional competitions. The Donald W. Reynolds School of Journalism is accredited by the Accrediting Council on Education in Journalism and Mass Communications. Accreditation was first granted in 1970.